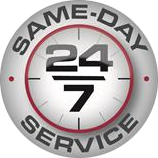 At Monona Plumbing & Fire Protection, 24/7 365 Emergency Service means you reach one of our capable professionals day or night. Call us at 608.273.4556 for immediate help. The service technicians at Monona Plumbing & Fire Protection are experts in the diagnosis and repair of all your plumbing, fire sprinkler, and underground utility needs. If calling after normal business hours, a technician will attempt to troubleshoot a solution to help delay service until the next business day when a regular service call can be scheduled. If this is not possible, and you need us now, don’t worry we’ve got you covered. We can schedule an appointment that works for you or dispatch a plumbing technician to your home right away. To ensure your security and complete satisfaction, all labor rates and dispatch fees are provided upfront, prior to the start of any work. In the event of a flooding emergency, Monona Plumbing & Fire Protection also offers emergency water evacuation/water pumping. We are always available on our after-hours line at 608.273.4556. Dial option 6 for the on-call service who will put you in contact with a member of our knowledgeable service team, who will then help to evaluate your emergency and dispatch a technician if necessary to fix your problem. Monona Plumbing & Fire Protection Inc.
© 2018 Monona Plumbing & Fire Protection Inc. All Rights Reserved.